WASHINGTON – Taking U.S. and Russian missiles off high alert could keep a possible cyberattack from starting a nuclear war, a former commander of U.S. nuclear forces says, but neither country appears willing to increase the lead-time to prepare the weapons for launch. 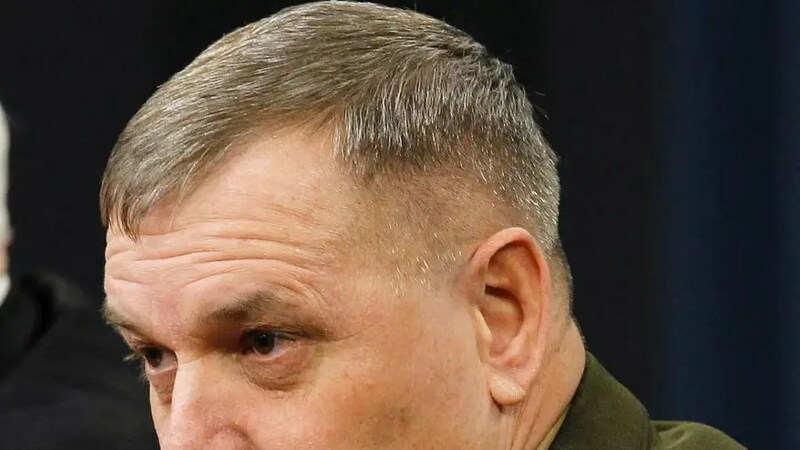 Retired Gen. James Cartwright said in an interview that “de-alerting” nuclear arsenals could foil hackers by reducing the chance of firing a weapon in response to a false warning of attack. Essentially adding a longer fuse can be done without eroding the weapons’ deterrent value, said Cartwright, who headed Strategic Command from 2004 to 2007 and was vice chairman of the Joint Chiefs of Staff before retiring in 2011. The Obama administration has considered and rejected the idea before of taking nuclear missiles off high alert. There appears to be little near-term chance that Moscow would agree to pursue this or any other kind of nuclear arms control measure, given the deteriorating U.S.-Russian relations after Russia’s intervention in eastern Ukraine. The U.S. and Russia also are at odds over a U.S. accusation that Moscow is violating a treaty banning medium-range nuclear missiles. An example of the high alert level of U.S. nuclear weapons is the land-based nuclear force. These are the 450 Minuteman 3 missiles that are kept ready, 24/7, to launch from underground silos within minutes after receiving a presidential order. A study led by Cartwright proposes to adjust the missile command and control system so that it would take 24 hours to 72 hours to get the missiles ready for launch. Cartwright said cyberthreats to the systems that command and control U.S. nuclear weapons demand greater attention. While the main worry once was a hacker acting alone, today it is a hostile nation-state, he said, that poses more of a threat even as the Pentagon has improved its cyberdefenses. Cyberthreats are numerous and not fully understood, officials say. Could a hacker spoof early warning networks into reporting attack indications that lead to overreactions by national leaders? Could they breach firewalls to transmit unauthorized launch orders to crews in nuclear missile launch control centers? Defense officials are tight-lipped about countering this type of cyber threat. Last week the No. 2 official at the National Nuclear Security Administration, Madelyn Creedon, was asked at a Senate hearing about progress against this threat to nuclear command and control. She said the government is “doing better,” but she declined to publicly discuss details. Two years ago the Pentagon’s Defense Science Board, an advisory group, reported that “most of the systems” in the U.S. nuclear arsenal had not been fully assessed to understand possible weak spots in the event of an all-out cyberattack. Cartwright is the lead author of a report published Wednesday by the Global Zero Commission, an international group co-founded by a former Air Force nuclear missile launch control officer, Bruce Blair, now a research scholar at Princeton. The report calls for a phased approach to taking U.S. and Russian missiles off high alert, with 20 percent of them off launch-ready alert within one year and 100 percent within 10 years, under a legal or political agreement. “At the brink of conflict, nuclear command and warning networks around the world may be besieged by electronic intruders whose onslaught degrades the coherence and rationality of nuclear decision-making,” the report says. Last week, the Iraqi government announced it had a corps which was believed to be that of Al-Douri. It said the corps was undergoing DNA tests. He expected an Arabic interference like what happened Yemen and other international conflicts, calling for unity and mobilising all efforts to undermine the potential Arabic interference. As part of his call to undermine external interference, Al-Sadr called for liberating Al-Anbar and Mosul. He also called for the government not to depend on the US to fight terrorism. After the American invasion of Iraq in 2003, Washington announced a $10 million-award for anyone offering information leading to Al-Douri’s arrest or death. Al-Douri was the second in line in Saddam’s regime and had been in hiding since the American invasion. He sometimes issued statements; in one he announced his support for ISIS. 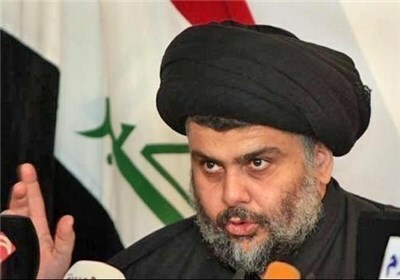 TEHRAN (Tasnim) – Iraqi cleric Moqtada al-Sadr on Wednesday threatened to hit the US interests in and out of Iraq over a proposed defense bill yet to be approved by the US, which he said could divide Iraq. “The US House of Representatives intends to pass a draft law on Iraq making each sect independent from the other, and this will be the beginning of Iraq’s division,” Sadr said in a statement. If the US passes such law, “then we will be obliged to lift the freeze on the military wing which is tasked with (fighting) the American side, to start hit the US interests in Iraq and even abroad possibly,” Sadr warned. The US House Armed Services Committee on April 27 released a defense bill which is scheduled to be debated and voted on in the committee on April 29. The bill suggested that at least 25 percent of 715 million dollars of US aid to Iraqi forces to be allocated to the Kurdish Peshmerga and the Sunni tribal militias and a yet-to-be-established Iraqi Sunni National Guard, Xinhua reported. Sadr also urged the Iraqi government and the country’s parliament to adopt a strong response to the US bill, the statement said, adding that the Iraqi people have to protect their land by rejecting and denouncing such move that could divide the country. Meanwhile, one of the unpublicized parts of the recent Chinese $46 billion aid and investment package is assurances that the thousands of Chinese who will accompany that money will be safe in general and especially from Islamic terrorists. Most of these Chinese will be involved with the $28 billion worth of infrastructure (roads, railroads and power stations) China is building. Thus Pakistan is organizing a special protection force of 12,000 men. This will consist of 12 infantry battalions (six from the army and six from the Rangers and Frontier Corps) and some special operations and intelligence personnel. China also wants more Pakistani action against Islamic terrorists (Turkic Uighurs) from China who have been based in Pakistan. The $46 billion is in addition to a 2013 deal where China pledged to spend $18 billion to build a road from Pakistan’s Indian Ocean port of Gwadar and into northwest China. This will require drilling long tunnels through the Himalayan Mountains on the border (in Pakistani controlled Kashmir.) This new deal expands that into a more extensive project called the China–Pakistan Economic Corridor. This will make it much easier and cheaper to move people, data (via fiber optic cables) and goods between China and Pakistan. China also gets a 40 year lease on much of the port facilities at Gwadar, which India fears will serve as a base for Chinese warships. Pakistan is not getting along as well with its other neighbors. Pakistan has forced (since mid-2014) several thousand Islamic terrorists into eastern Afghanistan. In addition increasing anti-Afghan feelings in Pakistan has led to another effort to persecute and expel several million Afghans living (often illegally) in Pakistan. So far this year over 3,000 such refugees a month are returning from Pakistan. While many of these refugees could evade expulsion efforts over 40 percent of those who return cite growing anti-Afghan attitudes and harassment as the main reason for coming back to Afghanistan. Then there is the Pakistani refusal to participate in the Arab effort to suppress pro-Iran Shia rebels in Yemen. This is important for the Gulf Arabs who are inclined to keep most of their troops out of Yemen. Iran is more and more threatening and while Pakistan refused to send troops they did promise to come in with troops if Saudi Arabia were invaded. The only likely invader is Iran, so Pakistan, also dependent on Saudi generosity, has not entirely backed away. Besides, Pakistan is Sunni and has nukes which is some protection against threats from a future nuclear armed Shia Iran. India has joined Burma in pressuring China to do something about the continued shipments of Chinese weapons to tribal rebels in northern Burma and northeast India. China denies this is happening and points out that many Burmese rebels have long used Chinese weapons they bought from illegal dealers in China and then smuggled into Burma. China also points out that Burmese troops also use Chinese weapons. Burma and India counter that the rebels in both countries are using weapons China did not sell to the Burmese Army. Moreover these Chinese weapons (often older and cheaper designs) are showing up worldwide in the hands of rebels, terrorists and gangsters. The point here is that China is looking the other way as a huge illegal arms sales and smuggling operation goes about its business. China is in the midst of a major corruption crackdown so these complaints from Burma and India might be addressed this time around. Then again, maybe not. The offensive against Islamic terrorists in the northwest, begun in mid-2014, continues. Actually, because of the large number of captured documents and prisoner interrogations there have been more raids and arrests outside the northwestern tribal territories. This has caused some problems because an army plan to go after Islamic terrorists in Karachi (the largest city in Pakistan, where about eight percent of all Pakistanis live) has encountered political resistance because of fear this is part of some secret plot to stage another coup. The Russian invasion of eastern Ukraine is being felt as far away as India. That’s because the last five of 40 Indian AN-32 transports being upgraded in Ukraine have, well, sort of disappeared. Ukrainian engineers working in India to upgrade another 64 An-32s were called home and India can no longer get An-32 spare parts from Ukraine. The original contract called for 40 An-32s to be upgraded in Ukraine and another 64 in India. Now India faces the prospect of most of its aging An-32s becoming inoperable by the end of the decade. India is desperate to remedy this situation and is considering purchasing new transports. This is a very expensive alternative, but appears to be the only one. April 23, 2015: In northwest Pakistan (Waziristan and Khyber) the military claims to have killed at least 47 Islamic terrorists over the last two days. This involved both ground operations and air strikes. April 22, 2015: The U.S. revealed that a January 29 UAV missile strike on an Islamic terrorist compound in Pakistan (near the Afghan border) that killed six Islamic terrorists also killed two foreign hostages (an American held since 2011 and an Italian held since 2012) that American intelligence did not know were there. The two hostages had been kidnapped in Pakistan and held for ransom. The U.S. discourages payment of ransom because it encourages kidnappers to go after more Americans. The U.S. has carried out nearly 400 of these UAV missile attacks Pakistan since 2004. April 20, 2015: Pakistan ordered another fifty JF-17 jet fighters, to be delivered by 2018. The first Pakistani JF-17 squadron became operational in 2010. Pakistan has already received sixty JF-17s as part of a project that began in 1992 and while it was a joint Pakistan-China development project China supplied most of the money and did most of the work. China, however, does not use the JF-17, only Pakistan. That’s largely because the JF-17 is assembled in Pakistan, although over 40 percent of the components come from China or Russia. The project has gone through several name changes (FC-1, Super 7). The 13 ton warplane is meant to be a low cost ($20-30 million) alternative to the American F-16. The JF-17 is considered the equal to earlier versions of the F-16, but only half as effective as more recent F-16 models. The JF-17 uses the same Russian engine, the RD-93 that is used in the MiG-29. The JF-17 design is based on a cancelled Russian project, the MiG-33. Most of the JF-17 electronics are Western. The JF-17 can carry 3.6 tons of weapons and use radar guided and heat seeking missiles. It has max speed of Mach 1.6, an operating range of 1,300 kilometers and a max altitude of 17,000 meters (55,000 feet). China has tried to export the aircraft to other countries but found that, for what it cost, it was not competitive. April 17, 2015: Pakistan agreed to send warships to help maintain the naval blockade of Yemen. Pakistan refused to supply warplanes or ground troops and Arab anger at this is growing. So the warships are a peace offering and willingness to support the UN approved arms embargo of Yemen. April 16, 2015: India test fired another Agni III. This is a 48 ton ballistic missile that was first tested in 2006. It has a maximum range of 3,500 kilometers and a payload of 1.5 tons. Most of them are now aimed at China rather than Pakistan. April 15, 2015: For the first time since 2012 Pakistan successfully launched a Hatf V ballistic missile. With a range of 1,300 kilometers, the missile can reach most of India. Pakistan sees missiles like this as essential to making Pakistani nuclear weapons a real deterrent to Indian invasion. The Indians are building an anti-missile system, with Israeli help and Pakistan is building more missiles and nuclear warheads in an attempt to create the capability to overwhelm these Indian defenses. Meanwhile, Indian politicians, press and public opinion all show no enthusiasm whatsoever for an invasion of Pakistan. There is, however, fear of Pakistan based Islamic terrorists making more attacks on India. Pakistan refuses to admit that this threat exists. In eastern India (Bihar) police found a cache of Maoist weapons. Ammunition and equipment). April 14, 2015: In eastern India (Chhattisgarh) Maoists began their usual April-June offensive by killing 13 police (and wounding 18) in three days of ambushes and raids. Maoist losses were, according to a Maoist captured later, more than twice as large. The police brought in reinforcements and during the rest of the month went on the offensive against the local Maoists. April 13, 2015: India accused North Korea of continuing to sell Pakistan ballistic missile technology. It is already known that North Korea paid renegade Pakistani scientists at least $3.5 million for nuclear weapons technology in the late 1990s and that technical cooperation between the two countries continued. April 12, 2015: In northwest Pakistan (North Waziristan) American UAVs used missiles to kill four Islamic terrorists. April 11, 2015: In southwest Pakistan (Baluchistan) tribal separatists were responsible for the night attack on a camp for workers building a bridge in a remote area. Twenty of the workers were killed and three survived with wounds. Police soon found and killed 13 separatists, including most of those responsible for the massacre. April 10, 2015: Pakistan released (on bail) Zakiur Rehman Lakhvi from jail. This enraged the United States and India because Lakhvi was the planner for the 2008 Islamic terror massacre (166 dead) in Mumbai India. Shortly thereafter Pakistan was sent convincing evidence and India asked that Lakhvi be arrested and extradited for prosecution in India. Lakhvi was arrested in 2009 but Pakistan refused to turn him over or prosecute him themselves. Lakhvi was a hero to many Pakistanis because he is a widely known leader of Lashkar-e-Taiba. This Islamic terror group specializes in attacks in India and is very popular among middle and upper class high school and college students. Lashkar i Taiba was organized and long supported by the Pakistani military, mainly to organize and carry out terrorist attacks in India. This is widely known in Pakistan where few people will dare criticize the attacks inside India. Is Pakistan pivoting away from Saudi Arabia? Saudi Arabia continues to press Pakistan to provide tangible support for its war in Yemen. Most Pakistanis are pushing back and criticizing the kingdom and its gulf allies in unprecedented candor. Pakistani Prime Minister Nawaz Sharif and his senior army leadership traveled to Saudi Arabia last week for another consultation on Riyadh’s request for military support for the campaign against the Houthis. Sharif said after the visit that he was not confronted with a “wish list” and he reiterated Pakistan’s commitment to defend the kingdom if it is attacked. But the Pakistani leadership offered no tangible military aid. The prime minister’s brother, Shabaz Sharif, has also visited Saudi Arabia separately to try to reassure Gulf leaders, but he could not calm the tensions either. The Sharif government is clearly uncomfortable with saying no to its Gulf benefactors but it faces strong domestic opposition to the war. Hoodbhoy also takes on directly the issue of Saudi-Pakistani potential nuclear collusion, usually a subject off-limits in the media. The nuclear physicist reminds Saudis there are “no other nuclear vendors in town,” and that “Pakistan is the only country that can at short notice potentially provide the kingdom with nuclear weapons or a nuclear umbrella” against Iran. His conclusion is that Pakistan should never give the kingdom the bomb. Other commentators have been scathing about the role Saudi Arabia has played in backing extremist Islamic movements in Pakistan for the last 40 years. Much of the sectarian Sunni-Shiite violence in Pakistan is blamed on Saudi money. Before Yemen, this kind of commentary was rare in Pakistan; the Yemen war has made this rhetoric more frequent, and often satirical. China has played a role in the drama as well. President Xi Jinping visited Islamabad last week and promised a staggering $46 billion in new investment in Pakistan to build an economic corridor linking western China to the Persian Gulf through Pakistan. China will expand the port of Gwadar in Baluchistan to rival Dubai or Doha as a regional economic hub under this ambitious strategy. Pakistan has its own security challenges, of course. The Sharif brothers promised Xi that Pakistan will create a new special division of the Pakistani army to protect Chinese workers in Pakistan. The “Special Security Division” will total 10,000 troops and be commanded by a two-star general. Half the men will come from the Special Services Group, Pakistan’s elite commando force. The force will have its own organic air support, i.e., troops for protecting China, albeit at home, but not for waging war in Yemen. The Pakistanis sought assurances from the Chinese that their neutral policy in Yemen would not undercut their alliance with Beijing in any way. According to leaks from Pakistan, the Chinese were adamant that they understand Pakistan’s hands-off approach in the Saudi-Iranian regional proxy war. Xi allegedly told Sharif that China will stand by Pakistan if its ties with Saudi Arabia and the United Arab Emirates unravel. There are some in Pakistan pressing the Saudi cause. Among the most vocal is the political arm of the terror group Lashkar-e-Taiba (Jamaat-ud-Dawa), notorious for the attack on Mumbai in November 2008. Its leader, Hafiz Saeed, has called for Pakistan to send troops to defend the Two Holy Mosques in Mecca and Medina from the Houthis. He has formed a coalition of Sunni groups to defend the mosques from danger, claiming that Israel and the United States are using the Houthis and Iran to endanger the holy places. As early as March, Saeed blamed a “Jewish conspiracy” for fomenting the Houthi rebellion. Lashkar-e-Taiba raises funds in the kingdom, so it undoubtedly sees this propaganda as a good way to endear itself in the Gulf. Lashkar-e-Taiba has close connections to the Pakistani intelligence service, ISI, which is also very close to its Saudi counterpart. The battle for Pakistan’s support has revealed a degree of animosity toward the Gulf states in the world’s second-largest Muslim country that has not been seen so vividly before. Given the huge investments Riyadh and Abu Dhabi have made over the decades in courting Pakistan and its politicians, it should lead to some soul-searching. (Reuters) – Iranian forces boarded a Marshall Islands-flagged cargo ship in the Gulf on Tuesday after patrol boats fired warning shots across its bow and ordered it deeper into Iranian waters, the Pentagon said. U.S. planes and a destroyer were monitoring the situation after the vessel, the MV Maersk Tigris, made a distress call in the Strait of Hormuz, one of the world’s most important oil shipping channels. Iran’s Tasnim news agency quoted an unidentified source who sought to play down the incident, saying it was a civil matter with no military or political dimension. But the Pentagon described it as an apparent provocation. The incident came as the United States and five other global powers aim to secure a final nuclear deal with Iran by the end of June. Under the accord Tehran, which denies seeking to build nuclear weapons, would win sanctions relief in return for slashing the number of its uranium enrichment centrifuges and accepting intrusive international inspections. Saudi-owned Al Arabiya television earlier said an Iranian force fired on and seized a U.S. cargo ship with 34 U.S. sailors on board, and directed it to the Iranian port of Bandar Abbas. But the Pentagon spokesman said there were no U.S. citizens on board the ship. Reuters tracking data showed the Maersk Tigris, a 65,000-tonne container ship, off the Iranian coast between the islands of Qeshm and Hormuz. It had been listed as sailing from the Saudi port of Jeddah, bound for the United Arab Emirates port of Jebel Ali. What a nuclear attack didn’t take from them, old age will. Taniguchi was 16 years old and riding his bicycle about a mile away from the epicenter when Nagasaki was bombed. Seventy thousand people were killed. His back was so badly burned that he spent much of the next three and a half years lying on his stomach. His friends say he still has open wounds and cannot sweat.l, which will not allow humans to live nor die as humans,” he told an audience at a disarmament gathering in New York over the weekend. The author of Clinton Cash falsely claimed Hillary Clinton as secretary of State had “veto power” and “could have stopped” Russia from buying a company with extensive uranium mining operations in the U.S. In fact, only the president has such power. Through a spokeswoman, author Peter Schweizer told us he meant that Clinton could have forced the issue to the president’s desk. But that’s not what he said when he appeared on Fox News Sunday, where he discussed the uranium deal and his upcoming book to be released on May 5. Schweizer’s book — Clinton Cash: The Untold Story of How and Why Foreign Governments and Businesses Helped Make Bill and Hillary Rich — focuses on foreign donations to the Clinton Foundation, a nonprofit created byformer president Bill Clinton. In his book, Schweizer, a former fellow at the right-leaning Hoover Institution, seeks to link some of those donations to the official actions taken by Clinton when she was secretary of State. TheNew York Times, which received an advance copy of the book, wrote an article April 23 that said the Clinton Foundation failed to publicly disclose millions in contributions it received from investors who stood to profit from the sale of Uranium One, a Canadian-based company with uranium mining stakes in the West, to Rosatom, the Russian nuclear energy agency. The Times said its article “built upon” Schweizer’s reporting. That sale was approved by the Committee on Foreign Investments in the United States in October 2010, giving Russia control over 20% of uranium production in the United States, according to the Times. The book in general and the Timesarticle in particular have stirred up the 2016 presidential campaign. The Clinton Foundation was forced to acknowledge that it “made mistakes” in failing to disclose some of its donations, and Republicans have questioned Hillary Clinton’s role in the sale. Mitt Romney said the money donated to the Clinton Foundation “looks like bribery,” and Sen. Rand Paul called for an investigation. But Schweizer and the Times presented no evidence that the donations influenced Clinton’s official actions. Chris Wallace, host of Fox News Sunday, made that point when he questioned Schweizer about his lack of evidence connecting the donations to the uranium deal. (Fox News was among the media outlets that received an advance copy of his book.) Schweizer made the counterargument — again without any evidence — that the investors bought her silence by making contributions to the Clinton Foundation. Schweizer speculated that investors were worried about Clinton’s history of opposing the sale of “critical assets” in the U.S., citing her opposition as a senator to the 2006 sale of six U.S. ports to Dubai Ports World, a state-owned business in the United Arab Emirates. Wallace, April 26: Nine separate agencies and they [Clinton campaign officials] point out there’s no hard evidence, and you don’t cite any in the book that Hillary Clinton took direct action, was involved in any way in approving as one of nine agencies the sale of the company? Schweizer: Well, here’s what’s important to keep in mind: it was one of nine agencies, but any one of those agencies had veto power. So, she could have stopped the deal. So, what’s interesting about this, of all those nine agencies, who was the most hawkish on these types of issues? Hillary Clinton. She had a reputation going back to the Dubai Ports deal. But Schweizer is wrong when he says that Clinton had “veto power” and “could have stopped the deal.” At best, she could have forced the president to make a decision. The committee, which is known by its acronym CFIUS, can approve a sale, but it cannot stop a sale. Only the president can do that, and only if the committee recommends or “any member of CFIUS recommends suspension or prohibition of the transaction,” according to guidelines issued by the Treasury Department in December 2008 after the department adopted its final rule a month earlier. Treasury Department, Dec. 8, 2008: Only the President has the authority to suspend or prohibit a covered transaction. Pursuant to section 6(c) of Executive Order 11858, CFIUS refers a covered transaction to the President if CFIUS or any member of CFIUS recommends suspension or prohibition of the transaction, or if CFIUS otherwise seeks a Presidential determination on the transaction. Even the president cannot prohibit a transaction without “credible evidence” that the “foreign interest exercising control might take action that threatens to impair the national security,” according to the regulation. We emailed Schweizer’s publicist with links to the CRS report and the regulation that governs the committee’s work. Schweizer responded through the publicist: “By veto I mean halt the deal and advance their concerns to the President.” He also noted that Clinton was the only committee member who had a family foundation that received donations from the investors in the uranium deal. But Schweizer is trafficking in speculation. Schweizer raises legitimate questions about the Clinton Foundation and its donations. He simply goes too far when he says Clinton had “veto power” and “could have stopped” the uranium deal. Rosatom, Russia’s nuclear agency, confirms scientists are testing 10th generation centrifuges. No other country even possesses 9th gen tech, putting Rosatom years ahead of the competition. “We’re on to 10 Gen,” announced Aleksandr Belousov, general director of Urals Integrated Electrochemical Plant (UIEP), a Rosatom subsidiary in Novouralsk, Sverdlovsk Region, in the Urals. “Scientists and engineers are solving technical issues, which is quite difficult. Any kind of new research and technological development is a venture undertaking, you can either succeed or fail… Any new machinery must be economically efficient. [10Gen] is being developed out of economic expediency, not for mere modernization. The more energy-intensive the machinery is, the more technical problems emerge,” Belousov said. A gas centrifuge uses principles of centrifugal force to perform radioisotope separation of gases, by accelerating molecules to such an extent that particles of different masses are physically separated within a rotating container. The centrifugal separation of isotopes is used for various purposes. First of all for production of low-enriched (up to 3-4 percent) uranium to be used as fuel at nuclear power plants. It also is used to produce weapons-grade, highly-enriched uranium (90 percent of U-235). Centrifuges are also needed to produce radioisotopes for medicine and various technical issues. Centrifuges are operated in cascades of hundreds and thousands units. Manufacturer supplies centrifuges in assemblies of 20 units in two rows, and at the factory they are placed on the columns in tiers, one above the other. Last week the second cascade unit of 9 Gen gas centrifuges has become operable at the UIEP, with the first 9 Gen unit introduced in late December 2013. Having two 9 Gen centrifuge cascades means that UIEP is the leader in the industry, making up to 48 percent of Russian radioisotope market and 20 percent of the global market, RIA Novosti reports. The 9 Gen centrifuges are four times more productive than 8 Gen centrifuges, which means a similar productivity pace should be applied to 10 Gen units, Belousov said. Development of nuclear enrichment centrifuges in the Soviet Union began in 1952. Over the time general dimensions of the machinery changed a little yet the productivity has augmented by 14 times, whereas operating costs have diminished by at least 10 times, aide to the UIEP head, Gennady Solovyov, said. The modern Russian centrifuge is a state-of-the-art component made of composite materials and special aluminum alloy. Its rotor spins with unbelievable speed of 1,000 rotations per second and can do it without a single stop for 30 years. Mechanical malfunctions are extremely rare, no more than 0.1 percent (one failure per 1,000 units) per year. Starting from 2009 Russia is supplying 7 and 8 Gen centrifuges to China. The second-largest operator of uranium enrichment centrifuges after Rosatom is URENCO, a joint German, Dutch and UK enterprise operating 14,200 SWUs. Rosatom is heavily investing in nuclear enrichment at the UIEP. In 2014, the corporation allocated 7.5 billion rubles (nearly $150 million), whereas for 2015-2019 Rosatom plans to spend on the UIEP no less than 34 billion rubles (about $667 million). IT’S not easy to make nuclear weapons, build missiles to carry them long distances, and to produce highly enriched uranium or plutonium. But the hardest part of making nuclear weapons is keeping them safe so they do not detonate except under orders from the National Command Authority. Because escalation control will be extremely difficult after the appearance of a single mushroom cloud, an accidental, inadvertent or unauthorised detonation can lead to ruin. Nuclear safety and security techniques and practices are designed to prevent these eventualities. Gates and guards and personnel reliability programmes help with nuclear security. Nuclear weapon design features and other safety techniques help provide insurance against accidental, inadvertent or unauthorised detonations. Nuclear safety and security reinforce each other. Sometimes these categories merge. For example, authorisation codes required to arm and use a nuclear weapon, called permissive action links, can be considered as essential for both nuclear safety and security. Additional design features are also required. The US has a ‘one-point safety’ standard for its nuclear weapons. This means that the probability of achieving a nuclear yield greater than four pounds of TNT must not exceed one in a million for any event involving the initiation of the warhead’s high explosive at a single point on its periphery. The US achieved this exacting safety standard after decades of effort, significant investment, and a learning curve from nuclear testing. Warhead safety mechanisms will be put to the test in the event of conventional warfare. During crises, both Pakistan and India rely for deterrence purposes on missiles that are advertised to carry nuclear warheads as troops are mobilised in fighting corridors. In past crises, Pakistan has used missile flight tests and movements of medium-range missiles to clarify resolve to India. Medium-range missiles can be kept far from potential zones of fighting and are hard to target. Short-range missile systems constitute a new feature in deterrence equations on the subcontinent. India has flight-tested the Prahaar, a missile with up to 350 kilometre range. Pakistani analysts assert that the Prahaar could carry nuclear weapons. Pakis­tan has flight-tested the nuclear-capable Nasr with a range of perhaps 60 kms. It has been advertised as being capable of carrying nuclear warheads to reinforce “full spectrum deterrence”, so as to dissuade Indian leaders from authorising military advances on Pakistani territory. To have their proper deterrent effect, short-range missile systems need to operate close to the forward edge of prospective battlefields. In the event that crisis management fails and warfare begins, these missiles can either be in motion or be fixed targets. Either way, the Pakistani and Indian air forces are trained to employ aggressive tactics, and these missiles will be fair game. If they are struck, if they are carrying nuclear weapons, and if these weapons do not incorporate advanced safety features, mushroom clouds could result. While much is known about how to make nuclear weapons, fissile material and delivery vehicles, little information is in the public domain about mechanisms for nuclear safety. States that already have decades of experience can share best practices regarding nuclear security, but some critical information regarding nuclear safety is highly classified. Even if long-time nuclear weapon states were willing to share sensitive information, potential reci­pients would not allow outsiders anywhere near their nuclear design information. In other words, there is a mutual taboo about in­­formation exchanges relating to nuclear safety. Understanding nuc­lear safety issues is hard for political and military leaders. They are not trained in nuclear physics, mechanical engineering and chemistry. They cannot make independent judgements about nuclear weapon safety and must rely on guarantees provided by technical experts and lab heads. US presidents have relied on competing design teams at different nuclear labs to double check assurances they received and to confirm technical calculations. Because US labs had comparable design capabilities and were highly competitive, this proved to be an effective way to confirm assurances given. In addition, junior analysts at national labs were encouraged to question the design decisions of their elders, and could do so without sacrificing their professional advancement. Nuclear safety begins with avoiding intense crises and warfare. Nuclear safety can be advanced by a competitive but collaborative laboratory culture. Rethinking dangerous military practices is another way to improve nuclear safety and security. Weapons that are hardest to maintain control over in wartime and closest to live fire are, by definition, the least safe and secure. If weapon designs are not one-point safe, making them hard to find and keeping them at a distance from ongoing military operations is the best insurance policy against the accidental, inadvertent and unauthorised use of nuclear weapons. The writer is author of Better Safe than Sorry: The Ironies of Living with the Bomb.